South Austin Mobile Auto Repair, in South Austin, we are the experts in auto repair in your area! We can provide services with transmission repair and complete car care - clutches, brakes, factory scheduled maintenance, electrical, check engine lights, radiators, overheating problems, a/c and more. Don’t hesitate and call us today! Having problems with your brakes or your car's transmission isn't working as it should? Make a call to us and let us improve your car's efficiency after reaching out to you. Our mechanics have the skills and knowledge to repair all types of cars, including Japanese cars. We provide friendly repairing service at a reasonable cost no matter wherever you are. Looking to get back on the road quickly? South Austin Mobile Auto Repair can help you in any condition. We have the skills and equipment to thoroughly check and repair the air conditioning system, so you can get back on the road in no time. Have a foreign-made car? No problem. We service and repair all makes and models, including Japanese cars. 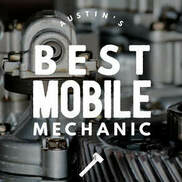 South Austin Mobile Mechanic: 512-746-7277 Mobile Mechanic South Austin, TX.